Bread for Life and the mission store exists because of the generous volunteers that work with compassion and support to individuals in need, regardless of race, origin, religion or gender. They help people in Nelson County with rent, utilities, gas, shelter, clothing, furniture, household items, and food assistance. 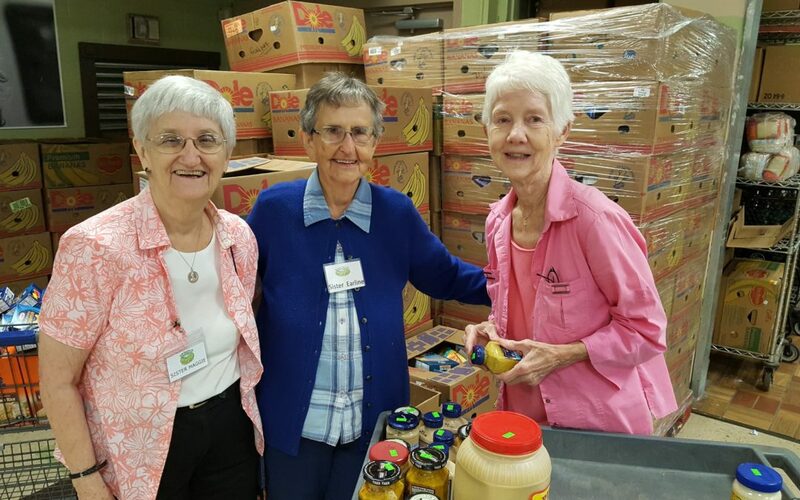 Sister Maggie, Sister Earline, and Sister Ann from Sisters of Charity of Nazareth are shown volunteering here.